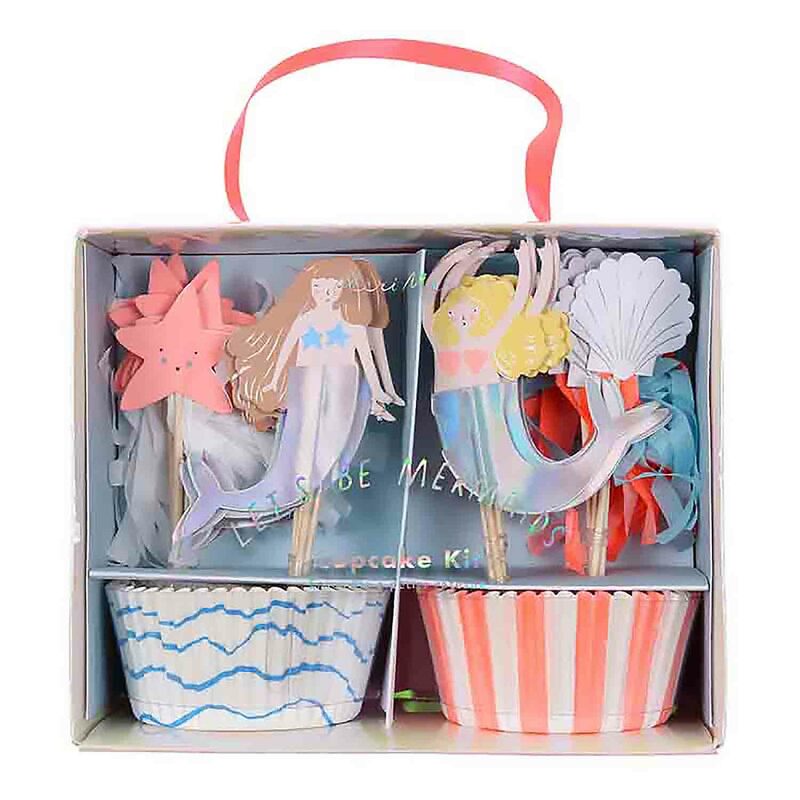 Banner: 3¾" wide x 6¾" long This adorable set of cake toppers will be the perfect decoration for a mermaid theme cake. Set includes 4 different toppers. 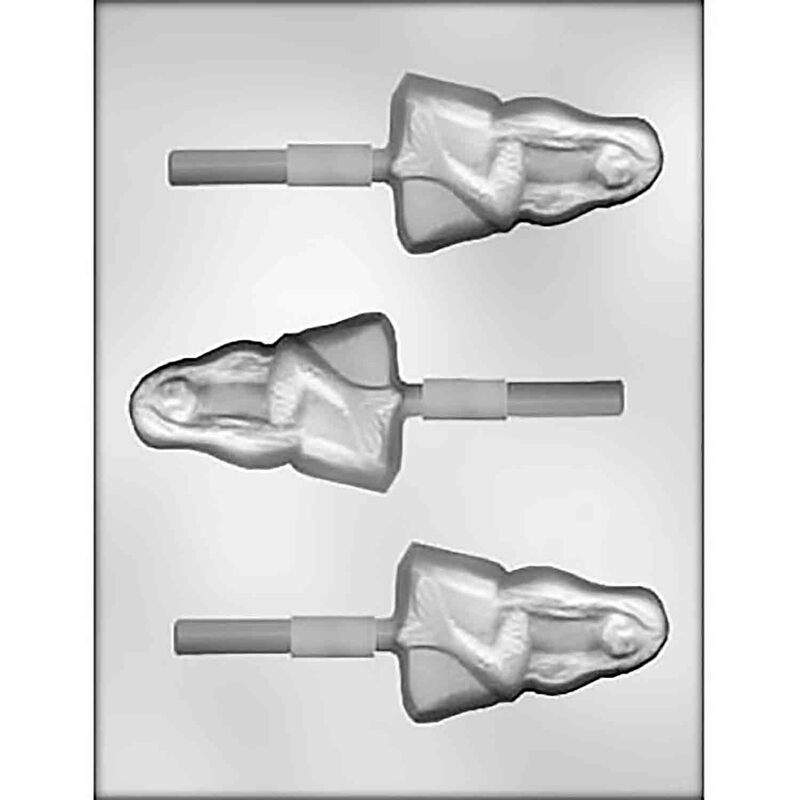 Toppers are made of paper on wooden picks. 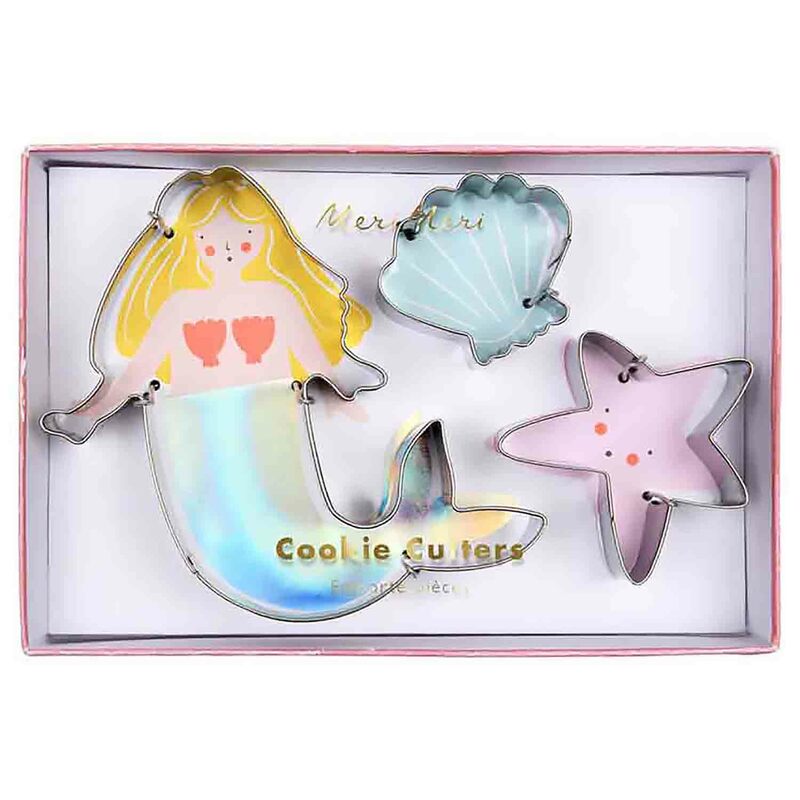 This adorable set of cake toppers will be the perfect decoration for a mermaid theme cake. Set includes 4 different toppers. 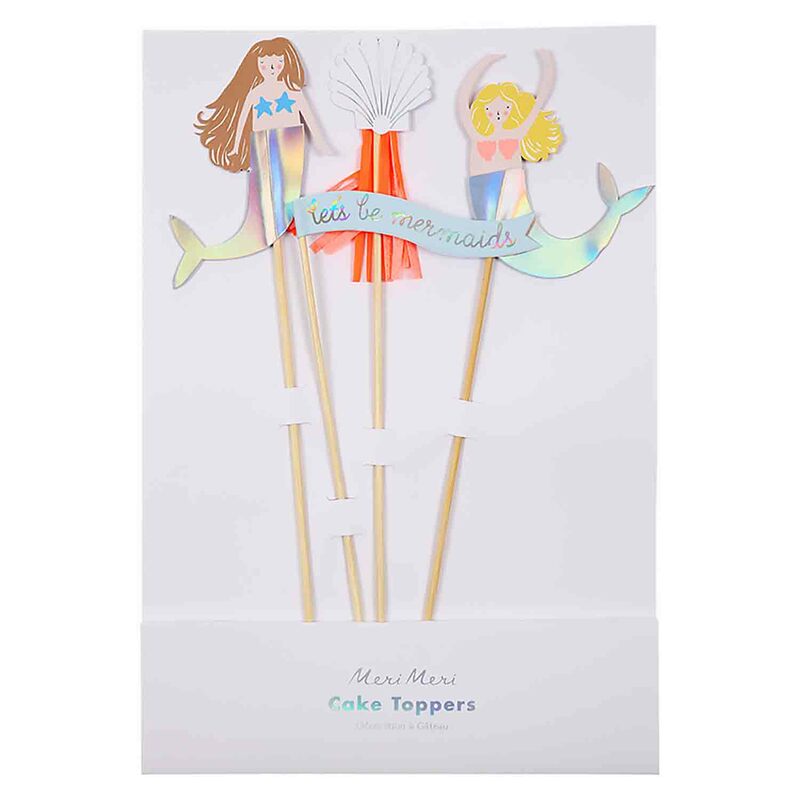 Toppers are made of paper on wooden picks.